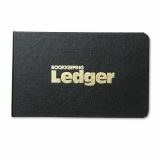 National Four-Ring Ledger Binder Kit, 100 Ledger Sheets, 8 1/2 x 5 - Four-Ring Ledger Outfit features a black Texhide cover with gold stamped title. Four round aluminum rings offer a trigger booster system and are mounted on the back to reduce wear and let pages lie flat. 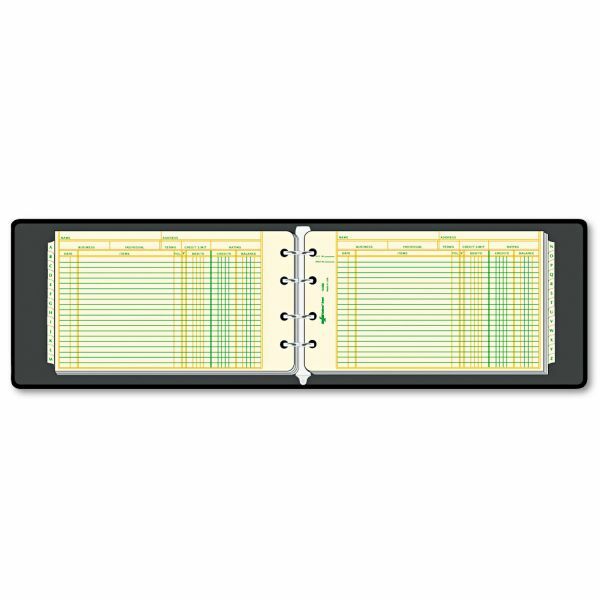 100 mini debit/credit balance sheets are printed on green eye-ease paper. Refillable binder also includes polypropylene construction with a sturdy chipboard core, A-Z Mylar tabbed index and exposed rivets. 1 capacity holds approximately 100 sheets."